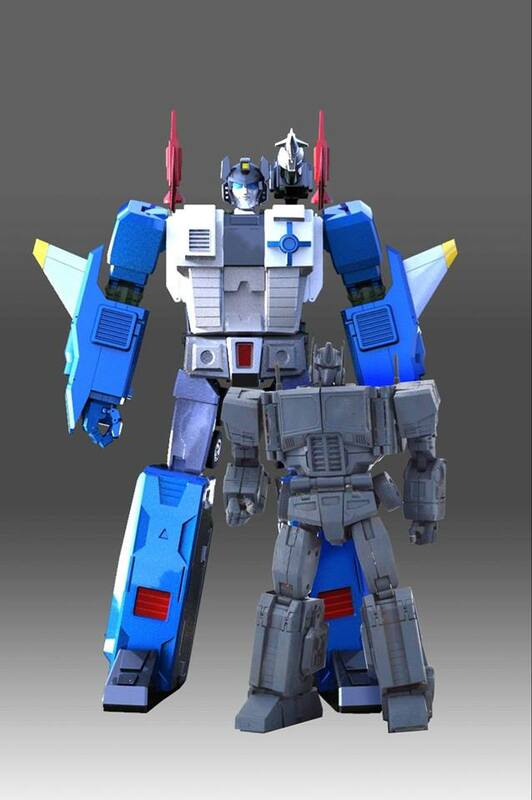 Via their Weibo Account, 3P company Keith Fantasy Club (KFC) has shared some new images of the prototypes of their upcoming KFC P-14 Raijin & P-15 Grand Raijin (Powermaster Optimus Prime / Super Ginrai). 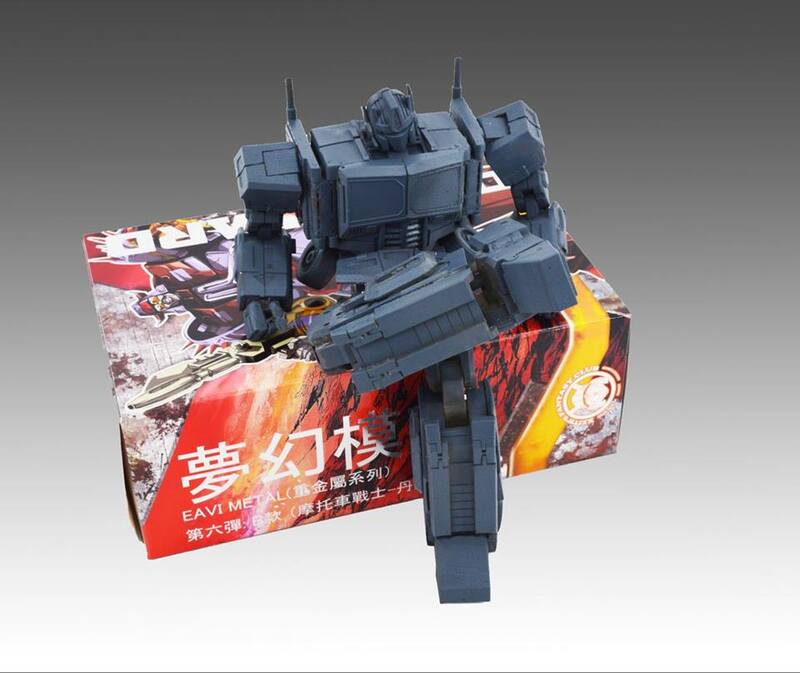 The images show the first prototype of P-14 Raijin, KFC’s take on Powermaster Optimus Prime or Super Ginrai for Japanese fans. This figure features a great range of poseabilty and an opening chest with a Matrix. 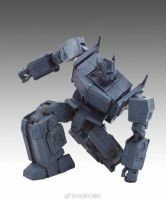 The figure stands about 26 cm, a bit taller than MP-36 Megatron or MP-10 Optimus Prime. In a curious move, KFC is offering P-14 Raijin as a solo release. The trailer P15 Grand Raijin will be sold separately. This trailer combines with Raijin to form King Raijin (Powermaster Optimus Prime or Super Ginrai in Japan). The trailer can also transform in a battle base mode. The main body of this combination stands 36 cm. tall, looking as a giant warrior next to other regular Masterpiece releases. To top it all, we have some extra color renders of the third component of this release: God Bomber. 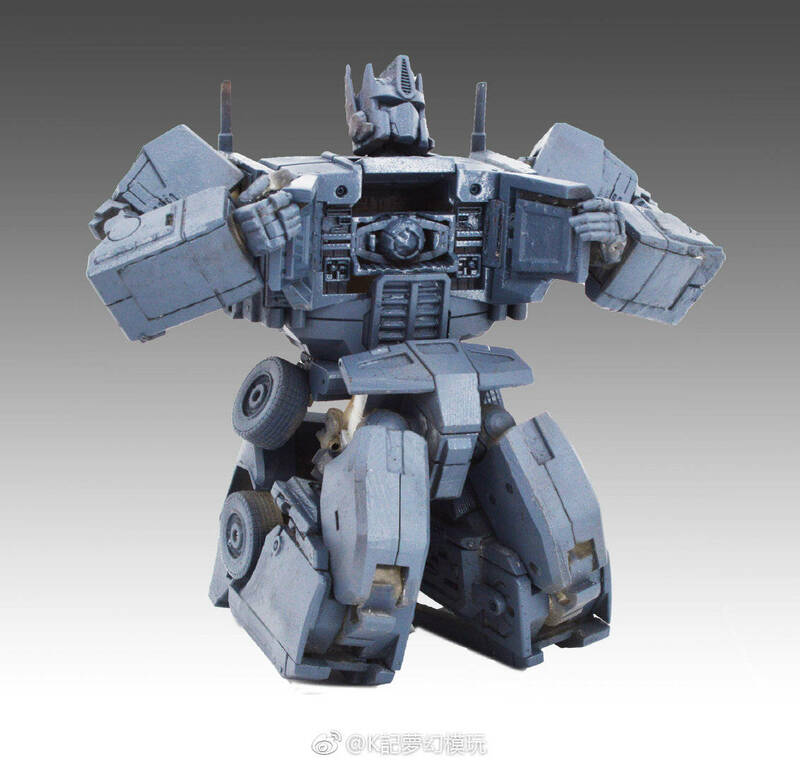 This toy should be able to combine as an armor with King Raijin to form the final form based on Powermaster Optimus Prime with Apex Armor or God Ginrai for Japanese fans. The robot seems to be even taller than the combined King Raijin form. Some of our sponsor have got pre-orders for P-14 Raijin and P-15 Grand Raijin, so you may want to check them our below. Click on the bar to see the mirrored images and sound off on the 2005 Boards! I think having Ginrai be as tall as a combiner might be more accurate, I'm just not sure I want that. Transformers is silly. Anime is silly. Stuff happens like that. Also he’s the same size as fort max’s brother. I felt that Star Saber was large enough to show that he was larger then Optimus Prime but not too large that he can't fit on a shelf. Yeah it's a tough call. If anything, one is too slim and the other too fat. But it could well be that the finished figure will look fine when not viewed in a head-on, standing-straight pose. To me, one is perfect and one is not right at all. Cheers! Honestly, though – that digibash was just some silliness in Photoshop, and not intended to be taken seriously! Although it's not my cup of tea, I appreciate that KFC have tried to make their interpretation aesthetically distinct from Power Baser. More choice is always good! That’s cool man. Have a nice day. Actually I do prefer your version! It seems that has been fixed if you see the new renders. 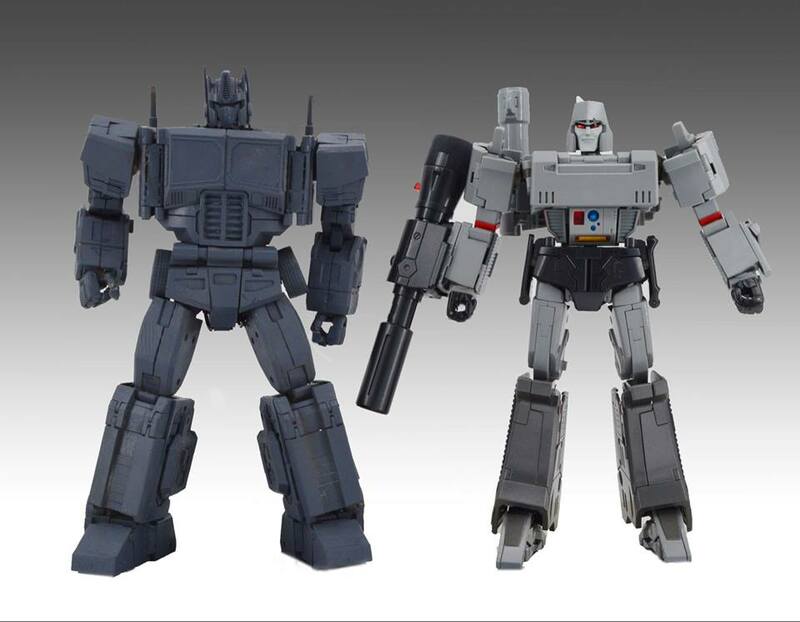 So this goes to the crux of MP-24's scale, which was argued over quite a bit when he was released. 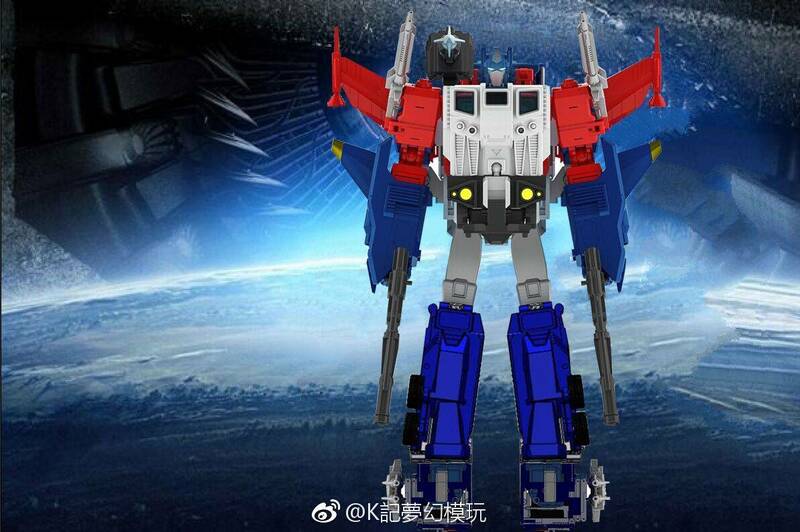 Simba is scaled to MP Star Saber, but MP star saber himself is a bit undersized. 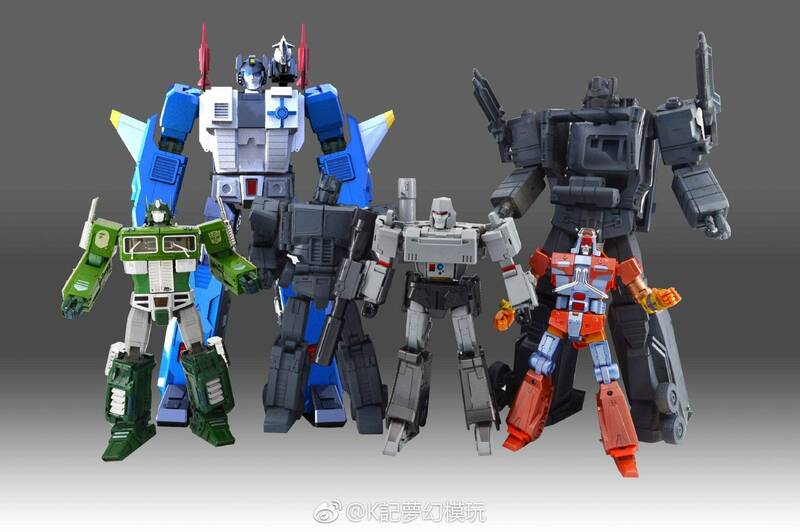 KFC may be going off of the Masterforce scale chart, which shows Ginrai at 7M tall, vs. Megatron/Prime who are at 6M tall. Page 1 shows Raijin vs. MP megatron. Raijin is clearly taller, since he's doing a relatively wider A stance than MP 36, and yet is the same height. 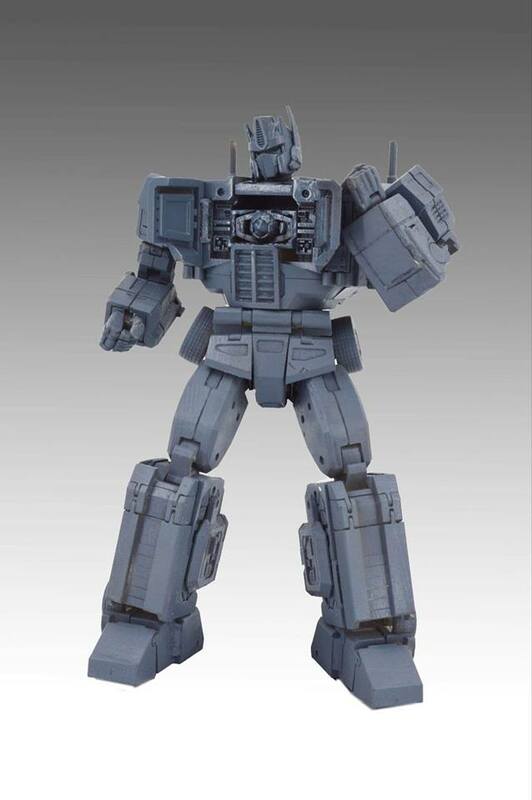 Accordingly, KFC then sized up Super/God Ginrai in proportion. 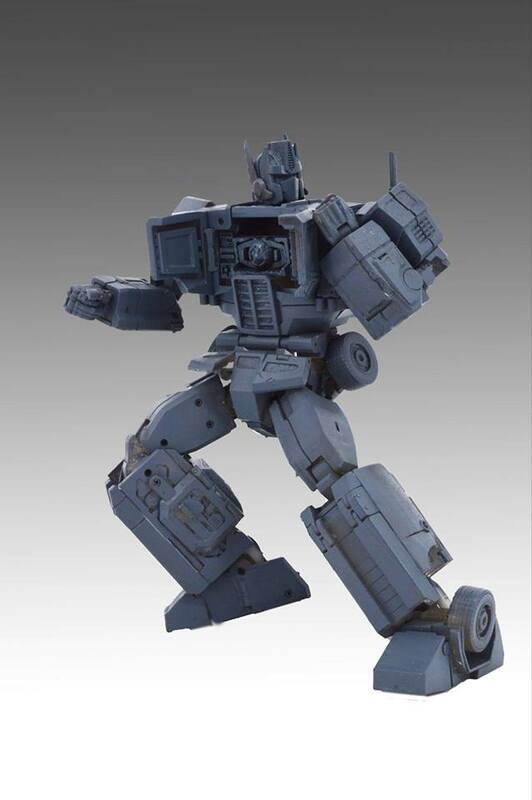 At 42cm, this God Ginrai won't scale to KFC's own Simba/Star Saber…which I am ok with as all the Japanese leaders are combiner sized in the cartoons. Agreed, this is the problem I ran into with SGMF and Victory with scale. My understanding was that the leaders were just big enough to take on the combiners. Combiners should scale out at about 20-21 inches. The leaders hit somewhere between 15-17 inches. Victory Saber and God Ginrai would scale at the same height. KFC had a dilemma with Simba because MP Star Saber was undersized and for my purposes poorly designed even if still a good figure. It felt to me they went cheap on it with materials, paint, sharpness, etc for a leader. KFC was hamstrung into matching that design style, construction, and height to create a Victory Leo that worked as part of Victory Saber. I think Simba does an excellent job of matching TT Star Saber. I am glad with God Ginrai, Deathsaurus, and Overlord that they didn't feel hamstrung like with Simba. I love the characters so I will end up with 3 Overlords, 2 God Ginrais, and probably 2 Sixshots. Some characters are just that good. I still wish Fans Toys would do a Greatshot remold of Hydra. Actually, the windows as is are more or less cartoon accurate. God Ginrai never had vertically long windows in masterforce and the toy certainly didn't. It's probably your personal preferences that's making them stand out. The mid section would need to taper in, creating some very defined obliques to be anime accurate. 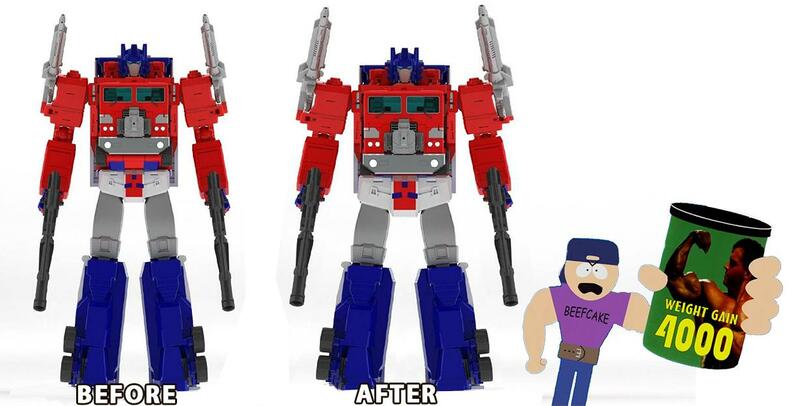 However since godbomber's "front" needs to stay a rough square shape, the midsection is more boxlike than the cartoon. I said it was a very very hasty edit I made. Of course it doesn't look good. But many other God Bombers have bigger windows without it looking terrible once an actual designer and not just me gets involved. Ah well, it's not worth arguing about. Changing the windows would distort the front of godbombers alt mode. They'd need a faux chest plate to portray larger windows. Or hinged panels to open up the windows more somehow. That's a problem, just not the one I'm talking about. I've been trying to figure out why I feel like the proportions on the God Ginrai combined mode are off, and yet I don't feel the same way about the combined-with-trailer-only mode. I think I've finally figured it out: The windows on God Ginrai's chest. They're so much smaller proportionally that they make the rest of his torso feel stretched, making him seem like a Long Boi even though nothing has actually changed. I did a quick and dirty 1,000 hours in MSPaint to stretch the windows down so they're bigger, and it kinda helps, but it introduces problems of its own, and since I've not seen anyone else mention this I may be alone and just have to get used to it. The only problem I have with fans hobby is it's just too deep from front to back. The truck sticks out super far in the front and even further in the back. Wish they could've done some clever engineering to compress his legs or something so he wasn't so damned thicc. No, that's why we have the Fans Hobby version. 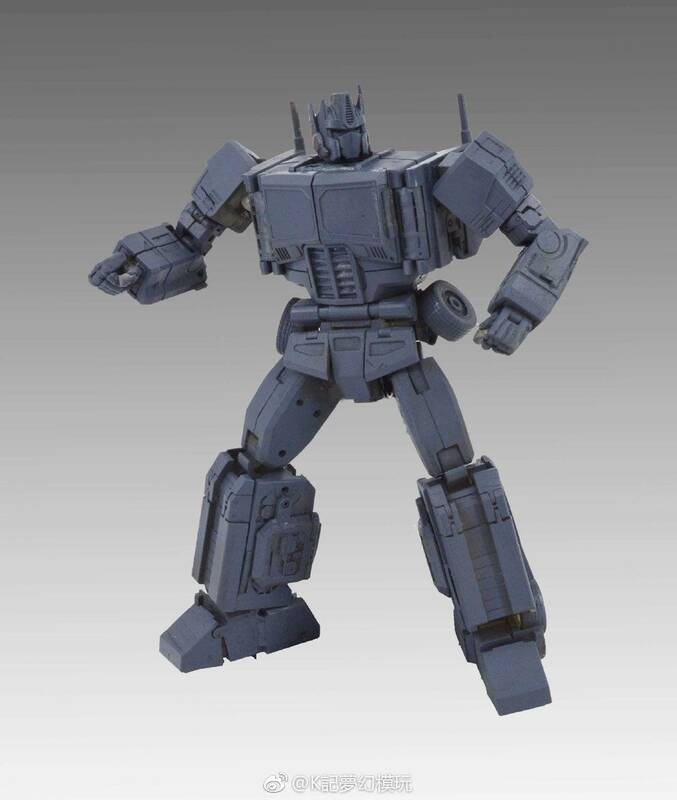 I have and like that version but to me it is more a PMOP comics version and it is badly proportioned that will not look as good with Godbomber. I like this version because the leg proportions and chest length will work well with Godbomber to give a well proportioned God Ginrai. All times are GMT -4. The time now is 7:45 AM.